Hercule Poirot's quiet supper in a London coffeehouse is interrupted when a young woman confides to him that she is about to be murdered. She is terrified—but begs Poirot not to find and punish her killer. Once she is dead, she insists, justice will have been done. Since the publication of her first novel in 1920, more than two billion copies of Agatha Christie's books have been sold around the globe. 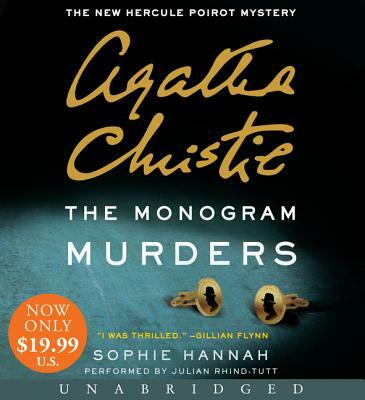 Diabolically clever, packed with style and wit, The Monogram Murders is a splendid addition to the world's biggest-selling series.